It is all about details. They play a major role in everything, especially, when we are talking about your home design and decor. It is a pleasure to work with the company, that specializes in this. 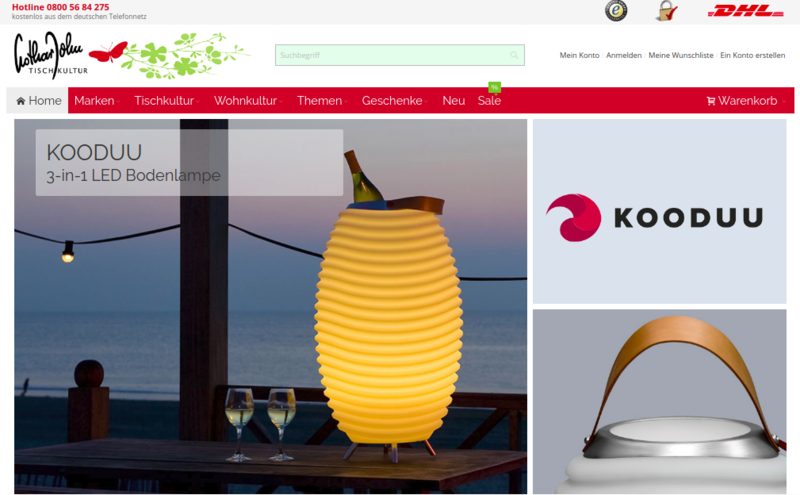 Lothar John is an expert in home decoration, while BelVG is an expert in Magento webstores. Today we want to share with you the results of our collaboration. Lothar John is a German distributor of European tableware, furniture, and home decor. For almost 40 years they have been working for people, who appreciate high quality, unique design, and beauty. Along with the online shop, the company has a brick-and-mortar store in Hannover. Moving with the time is the main feature of Lothar John. They were thinking about Magento 2 migration, while we were discussing possible collaboration. So that became a great opportunity to start our partnership. Our general objective was to create an attractive and functional webstore that kept the old customer interface. Both we and our client are fully satisfied with the ecommerce website we achieved. Take a look at Lothar John on your own. But be careful, because there are so many beautiful things there, that you definitely wouldn’t leave the store without buying something. Find out more about Magento 2 migration here. If you are interested in technical details, don’t hesitate to ask your questions in comments below and our developers will answer them as soon as possible.